U-PLEX Development Pack provides a rapid and convenient method for creating a multiplex panel for measurement of 3 biomarkers of your choice. 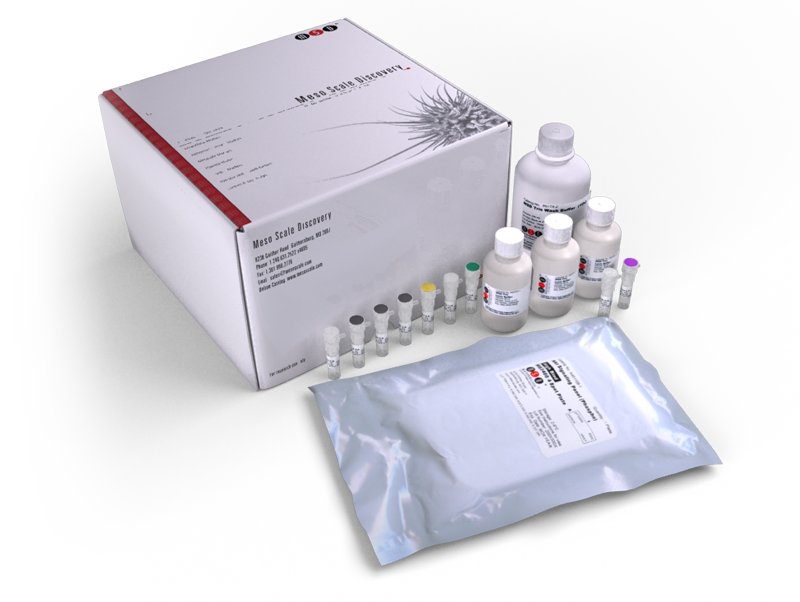 The pack contains a 10-spot U-PLEX plate with 3 activated spots, 3 unique linkers, and all the necessary diluents and buffers to complete the assays. You can use your own biotinylated capture reagents including antibodies, proteins, or nucleic acids, which when coupled to unique U-PLEX linkers will self-assemble onto the corresponding spots on the U-PLEX plate. Analytes in the sample bind to the capture antibodies (or other capture material) immobilized on the working electrode surface via the U-PLEX linker; recruitment of detection antibodies conjugated with electrochemiluminescent labels (MSD SULFO-TAG) by the bound analytes completes the immunoassay sandwich. For details of the assay, please refer to the U-PLEX Development Pack product insert.